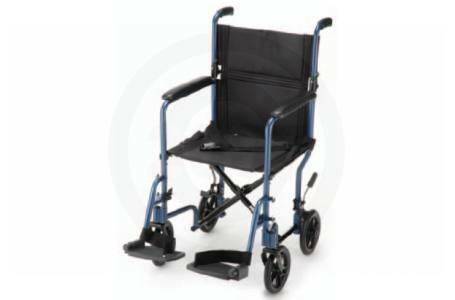 are considerably lighter (12 to 25 lbs) and easier to carry and transport with the patient. Transfer chairs can weigh as little as 12 lbs and as much as 45 lbs depending upon the type of material used for the frame and the cloth for the chair. Nowadays some frames weigh under five pounds. They easy to maneuver and store easily in most environments. 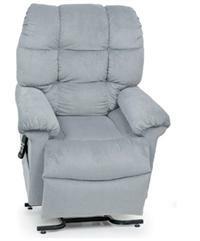 BMS recommend transfer chairs for elderly clients routinely. 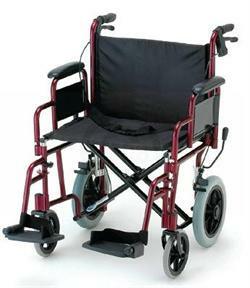 Bariatric manual or standard wheelchairs are are designed to accommodate person weight over 300 lbs. These specialized chairs have all of the features that come with standard chairs but are reinforced in all the right places to ensure the safety of a heavier individual. 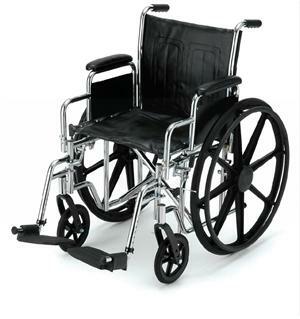 Bariatric wheelchairs can weigh up to 80 lbs, there are light weight wheelchairs that can weigh as little as 45 lbs. They can be difficult to maneuver and don't store easily in a car unless it is disable friendly. Because of the aforementioned reasons BMS does not usually recommend standard wheelchairs for elderly clients. Has a caregiver that is able to lift and/or store the wheelchair for the that person. They can be difficult to maneuver and don't store easily in a car unless it is disability friendly. 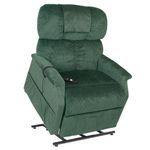 Has a caregiver that is able to push the transfer chair.